What does a Kavanaugh Court mean for the LGBT community? In short, a generation’s worth of challenges, dismissals and legitimized discrimination. What does a Kavanaugh Court mean for the LGBT community? Like so many others, I dreaded this question. I watched in painful anguish during the confirmation circus as the country wrestled with issues as varied and inflammatory as sexual assault, blatant perjury, white entitlement and gender bias. The outcome was heartbreaking and, dare I say, demoralizing but hopefully the process will bring clarity and power to a growing movement of forward-thinking Americans who will not accept the dismissal of integrity and will stand for the ultimate legitimacy of the Supreme Court. There is a very real possibility that the new “Kavanaugh” court will hear one of three cases from different Federal Circuit courts that address Federal anti-discrimination protections for the LGBT community. This issue may reach the court through a case called Bostock v. Clayton County Board of Commissioners. 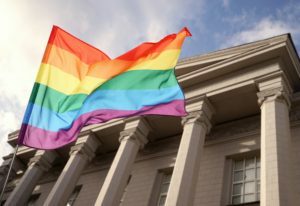 This case will ask whether Title VII of the Civil Rights Act of 1964 extends the protections which already exist under the Act to gay and transgender litigants. This is a key question to be asked because, while many states already do provide anti-discrimination protections for LGBT Americans, but there is no Federal standard. To be fired from your job simply because you are gay or transgender strikes at the heart of the entire community and is exactly the type of protection that Kavanaugh has signaled he would not extend to our community. What does a Kavanaugh court mean for the LGBT community? It may mean that new cases, which touch on the holy grail of anti-gay opposition – religious freedom – offer the conservative court the ability to pay homage to the religious right, from whom they have received unwavering support. We all know how the “right” has reacted to the courts extending protections to the LGBT community in the past. 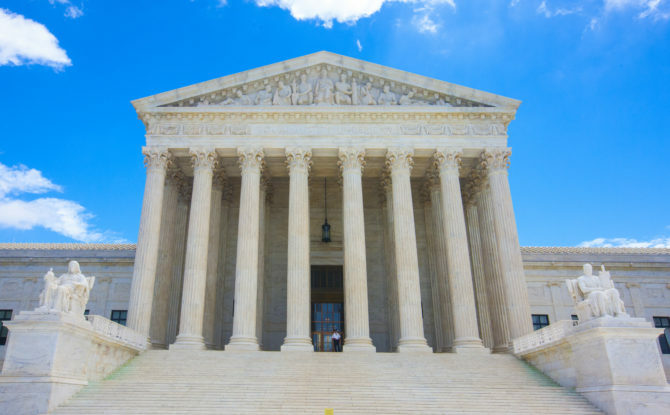 Unfortunately, the pendulum is swinging back and because of the nature and timing of judicial nominations, it may take a generation to readjust. We are looking at potential religious objection cases like the most recent Masterpiece Cake Shop case, which narrowly allowed a baker to refuse service to a gay couple. The next set of cases may open the door to more blatant discrimination, all in the name of religion. 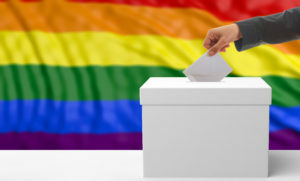 What does the Kavanaugh nomination mean for the LGBT community? It means that, once again, we have to rise above the humiliating and successful political gamesmanship that kept Merrick Garland off the court and put Brett Kavanaugh on it. The republican dishonesty and self-service that created our new court is truly appalling, but our first priority must be to vote out those who would continue to play this stacked deck against us. Power begets power and the republicans have been quite successful at winning in state races which allowed them to redraw legislative districts in their favor. This redistricting has laid the foundation for what we are seeing today: unequal representation in congress, an electoral college that favors republicans, the ability to name judges to federal courts across the land and a deepening divide between the few with power and the majority with less and less. Until we energize the majority of Americans who believe in affordable and comprehensive health care for all Americans, sensible gun regulation and equal treatment under the law (which truly is the majority of this country), we will continue to cede power to those who have quite effectively taken it from us. If democrats win just one chamber of the legislature in November’s midterm elections, we will finally see a much needed check on the unfettered power of the current executive. We may finally be able to investigate the long laundry list of outright violations of the law perpetrated by our President, his cabinet and our new Supreme Court Justice. But none of this happens if we do not activate and stay engaged. None of this will happen if we fail to reach out to others in a demonstration of true democratic partnership. As a community, we must consolidate our political power with immigrants, women, African Americans, health care advocates, sensible gun regulation proponents. In short, we must vote! What does the Kavanaugh nomination mean for the LGBT community? In the most immediate terms it means that we need to protect ourselves now. If you are transgender, make sure that your correct gender is reflected on identification documents. If you are a parent who has not had a court ordered establishment of parentage, get your second parent adoption. If you are unmarried or are in a polyamorous relationship, do the basic estate planning that will protect your family unit in case the unexpected occurs. If you have family members who are unfamiliar your family, or other families like ours, reach out to them and tell them how their vote can directly affect your family. Tell your story! My nine year old son asked me why a picture of Brett Kavanaugh was on the cover of Gay City News, my go to source for NYC LGBT news. I told him that he was going to be very important to the our community because he will decide cases that will affect our lives. He asked, “do we like him?” I said that I was a little afraid of how he would treat us. Then my son said, “what if he was good to us. ?” “What if he made decisions that were good?” I stopped my anxiety spiral in that moment and realized whatever Kavanaugh does on the court, I still have my family and I still get to teach my son right from wrong. My son is the my hope for our future and his ability to see possibility gives me great pride. What does the Kavanaugh nomination mean for the LGBT community? We have had to fight for our rights before and we will have to continue to fight for the foreseeable future. But if there is one thing I have learned from my experience in the trenches, it is this: you cannot rely on others to create your future. Step one: vote in November. Step 2: never give up.